Great TV, true to life color, ideal for home theater movies. Best if mounted to wall. Do a few tweaks to the settings and you won't get a much better picture anywhere. UPDATE 12/24/2015: I still love my UN75H6300 75″ Samsung. But now is the time to move on to the UN75J6300 models. The “H” models are hard to find and are older models. 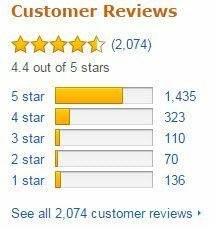 The UN75J6300 gets great reviews from multiple sources. Check for best price on Amazon here. The Samsung 75 inch Smart LED TV – model UN75H6300 or UN75H6350 (both are same TV). The newer model UN75J6300 recently came out to replace the UN75H6300 model. If you compare the specs of both models, you will see they are essentially unchanged in the newer model. The picture quality is the number one reason to buy this TV. I am sure Visio, LG, Sharp, Sony and the others have good picture quality. But I challenge any of them to top the Samsung UN75H6350 75″ TV. Samsung has been a leader in large screen TVs for years. In the DLP days, Mitsubishi used to be the one to beat. Now it is Samsung. I will give some picture setting tips a little further down. I personally own this TV and after looking at other brands, the Samsung is fantastic. I watch mostly cable TV and HD movies. I do watch some sports but not as much as my brother. 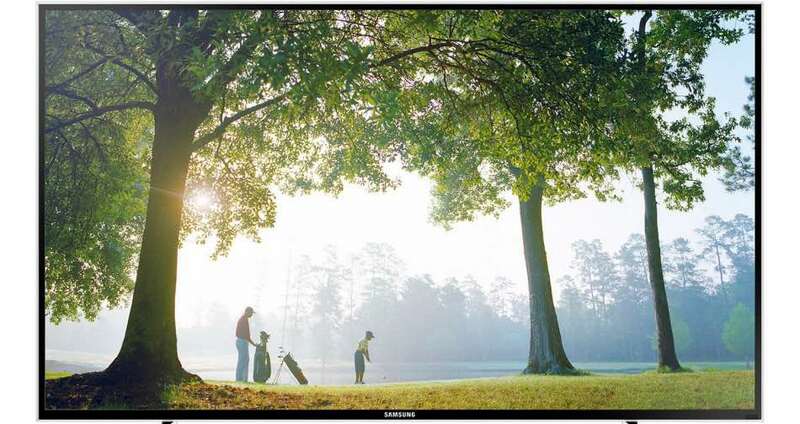 The Samsung UN75H6350 excels in all types of viewing – sports, movies, regular TV shows. I jumped online and searched “Samsung UN75H6350 tweaks” and found Tweak TV. I dove into my TV settings menu and started tweaking. After the tweaks my already great TV picture was FANTASTIC! The picture was real – not fake like soap opera. Primarily due to turning off the “Auto Motion Plus” setting. Some like this setting turned on for sports, but for me sports look just fine with it off. It is Samsung’s way to try and make the 120 Hz refresh rate into a 240 Hz refresh rate. Samsung calls this “Clear Motion Rate 240”. The higher the refresh rate, the smoother the action will appear. But to me and most viewers, I doubt seriously if you will be able to tell much difference in everyday viewing. The Clear Motion Rate 240, when turned on, smooths things out so much, you lose the natural look of movies. There are 3 settings you can choose besides Off… you can experiment for your own tastes, but Off does the trick for me. The Samsung UN75H6300 & UN75H6350 are the same 2014 model (Costco & Sam’s Club sells the UN756300). The Samsung UN75J6300 is the 2015 model that just came out. It is basically the same as the “H” model. The Samsung UN75F6350 is the 2013 model and is probably impossible to find at this point. There are deep end of year discounts on the UN75J6300 models. There are 4 HDMI ports. My setup only uses one. I have a cable box (Time Warner), a DVD (LG), and a receiver (Onkyo). I have a 7.2 sound system (Klipsch speakers): a center speaker, front right, front left speakers, right and left side speakers, and two rear speakers, plus a 12″ powered subwoofer. I run everything through my receiver. From the cable box HDMI out to the Receiver HDMI in, same with DVD – HDMI out to receiver HDMI in. I run an optical cable from cable box to receiver optical in. Then from my Onkyo receiver, I run one HDMI cable out to the TV. I turn the TV speakers off or down to 0 – all sound comes from my Onkyo receiver. When watching TV, I have the receiver set to the TV input. When watching a DVD, I set the receiver to the DVD input. Our family room is our Home Theater room. We had a 67″ Samsung DLP TV prior to getting the Samsung 75″ TV. The old picture was good, but now with the 75″ tweaked, and the 7.2 surround, shut the blinds, get the popcorn, we are ready to watch a movie in our own theater! Initially, I set the TV up using the included leg stands. To be honest, the TV was a little wobbly using the stand and I did not feel comfortable having it sitting on the TV stand using the included legs. Especially in S. CA. earthquake territory! This was a temporary solution for me until I could get the mounting hardware. 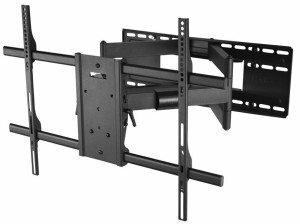 I did some research and although the Samsung 75″ TV only weighs about 79lbs, I wanted a sturdy wall mount bracket. Also, we have cabinetry on each side of the TV and I wanted the TV to extend out from the wall approximately 26 inches so it would be flush with the front of the cabinets. The mount that I got was the Kanto 40″ – 90″ Full-Motion TV Mount ($129 at Costco) that is rated for up to 150lbs and can extend out from wall up to 31 inches. The Kanto TV Wall Mount will tilt up and down and can swing out side to side. After installing, you can level it easily just by loosening on screw, put level on TV, the tighten screw. The mount itself weighs about 40lbs. I was able to install it myself, although having another person to help would have been easier. This is a very sturdy mount. I live in earthquake country (southern CA) and feel confident this TV is not going anywhere in the event of an earthquake. I will review this mount here later. These settings are for the “F” model but I found they worked better for me than their recommendations for the “H” model. (Should also work for the “J” model.) Use as a starting point then tweak for your preferences. *Not all of these settings are available, some may be grayed out or not shown. Give these settings a try. Wait a day or two before modifying the tweaks to your preferences. I say this because if you are used to the overly bright screen with over saturated colors that many TVs have coming out of the box, you may find after the tweaks, the TV isn’t quite as vibrant. Give it a day for you to adjust before making any changes. You may be surprised how the new settings actually improve the overall picture quality — especially for movie viewing. 3D capable TVs never really took off. Even with some 3D media to watch, many revert back to 2D viewing after the novelty wears off. Maybe 3D will improve and become more mainstream as the TVs themselves improve. And with the popularity of the larger screens like the Samsung 75″, you may see a resurgence in 3D… but right now it is not a game changer. As TV size continues to increase, the curved screen may provide a better viewing experience. For most households, the traditional flat screens will do the job quite well. Whether curved screens are just a marketing gimmick or are here to stay is yet to be determined. You will be very happy with the Samsung UN75H6300, UN75H6350, UN75J6300. I would skip the “J” model and grab the “H” model and save a couple hundred dollars. The picture quality is perhaps the best in this category. Colors are true to life. Shadow detail is acceptable and blacks are good. Turn off the Auto Motion Plus and you will have a true Home Theater TV. For the money, I doubt you can get any better.